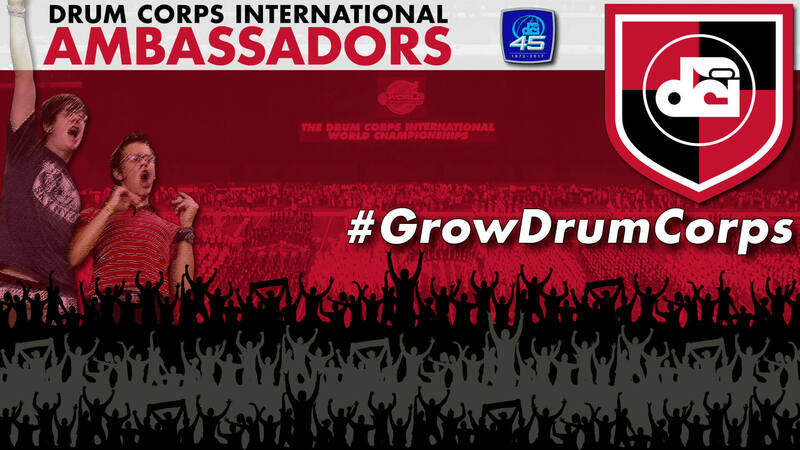 Drum Corps International is now accepting registrations for the 2017 edition of its Ambassador program, a grassroots effort that engages drum corps fans around the world to help spread the word about the DCI Summer Tour and other events and activities. Since the program’s debut in 2012, thousands of individuals have been a part of this group that has dedicated itself to promoting the DCI Tour schedule and raising awareness about the drum corps activity and its many initiatives. “As we continue to see strong attendance numbers across DCI Tour events, it’s no doubt in part thanks to the enthusiastic efforts of our team of Ambassadors,” said John DeNovi, DCI Sr. Director of Sales and Global Business Development. Cumulative leaderboard points: Compete with others around the world to share your dedication as a DCI Ambassador. Merchandise store: In addition to leaderboard points, Ambassadors can earn store points which can be redeemed for a selection of DCI logo merchandise and other items. Online and offline promotional challenges: Get your weekly “marching orders” and help spread the word about drum corps and the 2017 DCI Tour. Earn valuable points and store credits every time you complete an assignment. Experiential rewards opportunities: As you climb the ranks, you'll qualify to earn rewards for unique DCI experiences. No Limits: Anyone can get involved! Recruit all of your friends, band members, family members, co-workers and classmates. Your efforts will help us to continue to #GrowDrumCorps as the summer nears and the 2017 DCI Tour gets underway!